Torino will look to rebound from Monday's disappointing 5-1 defeat against Genoa when they face Chievo on Sunday afternoon. Toro's hopes for European football took a huge blow in that game, but a victory against Chievo should help secure a top 10 finish. The Granata are without the suspended Bruno Peres, whilst Fabio Quagliarella is injured so Primavera product Simone Rosso is included in the squad. 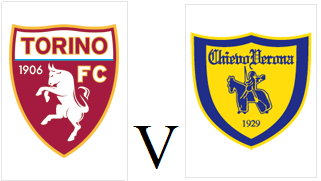 Chievo are safe from relegation and set for a mid-table finish and are currently on a six match unbeaten run.